Gold vinyl LTD to 300 copies. 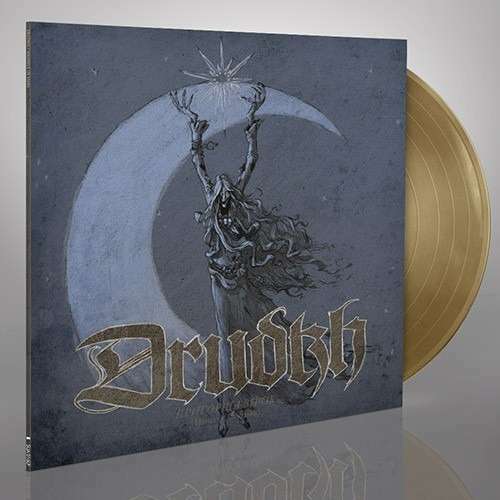 Expectations are soaring as Pagan Black Metal legend DRUDKH unleash “Handful of Stars”. Their eighth album once again lives up to the Ukrainians' expressed values of individualism and self-improvement. Although the band preserve their unique sound, they move into a more atmospheric and progressive direction. This ties in well with the meandering paths DRUDKH took on each new release. As on previous albums, DRUDKH delve into nature mysticism, legend and history – this time mainly inspired by the Ukrainian poets Oleksa Stefanovych and Svyatoslav Gordynskyj.